There is a Yale University survey which finds that the more people know about the climate, the more skeptical they become. They sampled 1,540 people on the following different types of information: how much scientific literacy they possessed (e.g., how well they answered questions about things like the time it takes for the Earth to circle the sun and the relative sizes of electrons and atoms), how numerate they were (e.g., their ability to engage in mathematical reasoning), what their cultural values were, and their thoughts on the risks of global warming and nuclear power. Overall, the more knowledge lowered the global warming concern (p-value around 6%). The cultural value groupings were 'individualism and hierarchy' who believe industry and technology have low risk and restricting gun ownership is bad, vs. 'egalitarian and communitarian', who believe industry and technology have a high risk and restricting gun ownership is good. I'm clearly a 'individualism-hierarchy' guy on that score, and can see why it dominated the explanation of the results, because if you are afraid of industry and technology, you probably love the Global Warming solutions to regulate technology and industry more. It would have been better to merely ask if they were Democrats or Republicans, because that would be less obviously correlated with the survey on nuclear power and global warming. Chris Mooney in DeSmogBlog has a post on this paper that neglects the overall correlation on knowledge and climate worry. He didn't mention that for both groups more knowledge was significantly associated with lower nuclear risk concern, or that for the 'individualism-hierarchy' group more knowledge was significantly different than zero. Most importantly, he neglected to note that the 'higher knowledge-higher global warming' correlation within the those +1 standard deviation in the 'egalitarian and communitarian' camp was not statistically different than zero (I'm eyeballing it at around 12% p-value, these are psychologists so they do numbers reluctantly, it seems). Mooney is a professional pundit who lectures everyone on how to do science, which I guess involves ignoring standard errors and burying the lede when it hurts your point. As Chris Mooney wrote The Republican War on Science, this is contrary to his thesis that we had more scientific candidates we would all agree with the progressive agenda to eliminate a missile defense system, not mention risks of abortions, and fight global warming (presumably with ethanol subsidies and bans on nuclear power). So he spun the survey to focus on the fact that the disagreement polarized the hierarchical-individualists and communitarian-egalitarians alone, and concludes that 'a little knowledge is a dangerous thing'. Yes, Mr. tendentious English major without an understanding of standard errors, it is. I regret wasting time learning the formal casuistry that rationalizes the pedestrian and perennial desire to increase redistribution and federal power under the pretext of increasing growth. I know it's a defensible statement, not logically impossible just contingent on some heroic assumptions, but when you look at how our money is actually spent, empirically absurd: defense spending, K-12 education, ethanol, light rail, Medicare, all boondoggles that have made things worse via their top down direction. Meanwhile, Japan cleans up its disasters much more efficiently than the US would have (see Katrina), and where in 1931 the US could build the Empire State Building in 400 days, the World Trade Center is at 10 years and counting. At this rate we are declining much faster than when Egypt built the monumental pyramids at Giza around 2600 BC, then the pathetic Unas 300 years later (my grandkids will probably think the Hoover dam was made by alien astronauts). Real opportunity would mean quality prenatal care for all women and well-funded and innovative public schools for all children. Real opportunity would mean a job at a living wage for everyone who was willing to work, jobs that can return some structure and dignity to people's lives and give inner-city children something more than a basketball rim to shoot for. In the short run, such ladders of opportunity are going to cost more, not less, than either welfare or affirmative action. But, in the long run, our investment should payoff handsomely. That we fail to make this investment is just plain stupid. As Lao-Tsu said, 'at the center of your being you have the answer; you know what you want'. The rest, is formal education. Above is a chart of the monthly percent change for the VIX, an index approximately equal to the option volatility on the S&P500, and the return on the S&P500 itself. There's a clear negative pattern. This makes sense, and volatility increases when the market is falling and vice versa. 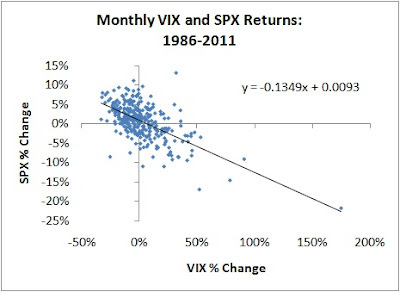 If I told you the VIX, or its ETF the VXX, was up big, there's a strong chance the SPY was down big. Move the date forward, however, so it's past volatility change and future return, and there's no correlation, and there's a slight negative correlation between volatility levels and stock returns. So, it seems mainly a contemporaneous pattern applied to changes in volatility, spilled milk as opposed to a predictor. Think about when volatility was rising in 2008, and prices were falling simultaneously. The rise in volatility was not predicting price moves, just reflecting them, and the high volatility correlated with both the big move down and the big rebound in the latter part of 2009. Fangjian Fu has a well-cited paper in the 2009 JFE, Idiosyncratic Risk and the Cross-Section of Expected Stock Returns, that purports to show that contrary to earlier reports that idiosyncratic volatility and future returns are negatively correlated, they are actually positively related. He states that if you estimate idiosyncratic volatility using an EGARCH model, you reverse the results of Ang et al, and find a positive 1.75% return each month for the highest minus lowest idiosyncratic volatility deciles, which is basically flat except for a big jump upward in the highest expected volatility decile. I've looked at this enough to believe he's made a mistake, but I don't know what, exactly. I don't see this in the data, and I doubt his specific EGARCH would change that, but it's difficult to recreate his methodology exactly. I presume it is in some sort of selection bias in his sample. He states that 'stocks with high idiosyncratic volatilities are contemporaneous with high returns, which tend to reverse in the following month. As a result, the returns of high-IVOL stocks are abnormally low in the next month', a finding I find bizarre because it's contrary to the pattern above, which hold not just for indices but stocks as well. But, this is good news for low volatility traders. As long as the old guard can point to proof that their result is still viable, they will believe it, and that leaves more opportunity for those who see through this. To paraphrase Cicero, the function of wisdom is to discriminate between good and bad investments. I always found the line 'wish I didn't know now what I didn't know then' to be mystically profound (from Against the Wind), but had trouble of thinking of anything I could apply it to. Not knowing Santa was my dad? That an anthropomorphic god doesn't exist? That the sun will run out of fuel? Nothing seemed to fit. 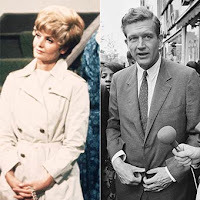 But today I read about 77 year old Brady Bunch mom Florence Henderson getting crabs from a one night stand with then NYC mayor John Lindsey. when she went home later that night, she woke up to "little black things" covering her body. She says she called her doctor who told her she had pubic lice. Below are the annual logarithmic average and standard deviation of returns to some common stocks, and two primary ETFs, SPY and QQQ (percent returns look similar). I used as much data as every stock had, where IBM goes back to 1962, but QQQ starts in 1999. As you can see, the average returns for every stock except MSFT was significantly greater overnight than from open to close. In fact, on average, stocks had a negative return during trading hours, even though 2/3 of the 'risk' is intraday. This is yet another instance of how the theory that risk begets return is contradicted by reality. Tom Anichini has found this in several ETFs, see here. the U.S. Treasury has not taken the $50 billion of TARP money it is not using for housing--and another $100 billion or so of TARP money--and said: "Here is the equity tranche for a U.S. government-backed infrastructure bank. Go out and build stuff!"? Build stuff? What percent of government expenditures at the margin, become 'stuff'? With a deficit of $1.4 Trillion, spending approved but not yet spent is not like some untapped reserve. Spending other people's money on other people has a really bad ROE, highlighted by the total indifference to important issues like how money is invested. I would love to be this guy's broker! Consider how hard it is to manage an infrastructure project of say, $10MM. To think that one can, top down, spend $50B and create value anywhere near $50B highlights a total indifference to incentives and a reliance on macro aggregates (C, I, G, M, v etc) that have proven as useful as Marxist conceptions of capital and labor: fun to talk about, but ultimately meaningless. This Bloggingheads clip highlights that the space program has been very disappointing. I remember all the accolades for astronauts and our space program as this was not only dangerous and difficult, but supposedly really important. It would supposedly help us manufacture drugs, create moon colonies, etc. The whole manned space flight program since Apollo has been a failure, producing absolutely zero new scientific theories or data. In announcing the first rough draft of the human 'book of life' at a White House ceremony in the summer of 2000, President Bill Clinton predicted that the genome project would 'revolutionize the diagnosis, prevention and treatment of most, if not all, human diseases.' That hasn't happened, and is doubtful. I think this highlights the problems predicting the future in anything, from dividends, to science, to politics. It's easy with hindsight to see how irrational past beliefs were, and it would be interesting to know how much of conventional wisdom was held by people who had a lot of common sense. I have a suspicion the seemingly bad predictions were from the media, which is populated by journalists, who as a class I find rather ignorant (when I was a TA at Northwestern which has a 'good' journalism school, we had big intro classes and they listed the colleges the kids were from, and they always followed the same g-loaded order: Engineering, Arts and Science, Journalism). Bastiat noted that "Life, liberty, and property do not exist because men have made laws. On the contrary, it was the fact that life, liberty, and property existed beforehand that caused men to make laws in the first place." von Mises and Hayek championed this insight to note how private property was essential to economic efficiency via its decentralizing nature, and Hernando de Soto applied this to problems in the third world. Friedman’s team presented a simple quandary to 40 preschoolers, ages 4 and 5, and to 44 adults. Participants saw an image of a cartoon boy holding a crayon who appeared above the word “user” and a cartoon girl who appeared above the word “owner.” After hearing from an experimenter that the girl wanted her crayon back, volunteers were asked to rule on which cartoon child should get the prized object. About 75 percent of 4- and 5-year-olds decided in favor of the owner, versus about 20 percent of adults. Alan Blinder helped instigate the "cash for clunkers", with his July 2008 op-ed piece in the New York Times. This gave a one-time boost to car sellers as the subsidy mainly went into a rise in auto prices, and by destroying over 500k working substitute cars. If you measure a government program by its price tag it was a huge success, as it cost taxpayers $3 billion. You see, the 'G' in the famous Keynesian top-down measure of aggregate demand C+I+G and therefore output, so all a government has to do is spend more and output rises! The indirect effects--like higher prices for used-car buyers in Blinder's last genius plan--don't exist because they are too subtle for the big picture that is captured via macro aggregates like C, I and G. Indirect costs, opportunity costs, are too hard to measure, so conveniently assumed to be zero, while the transactions are meticulously counted from initial expenditure to the next and present valued (you can see how pointless the conversation can become via Keynesian logic, see here for more). The obvious benefits of government spending has been proven mathematically (in partial equilibrium) 2,423 times in peer-reviewed journals, which is why the revolutionary Keynesian model has always been so popular, as it rationalized what many have always wanted. When the government borrows to finance spending, that pushes interest rates up, which dissuades some businesses from investing. Thus falling private investment destroys jobs just as rising government spending is creating them. There are times when this "crowding-out" argument is relevant. But not today. 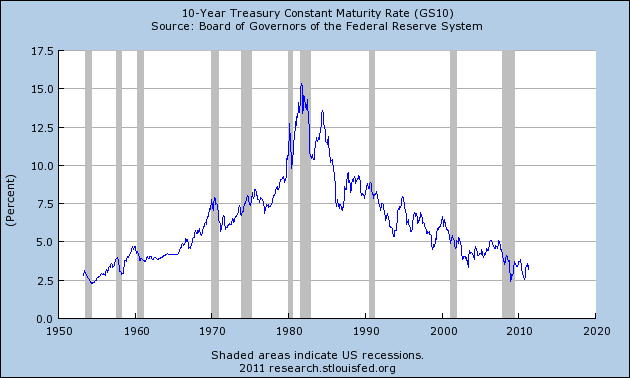 The Federal Reserve has been holding interest rates at ultra-low levels for several years, and will continue to do so. If interest rates don't rise, you don't get crowding out. If crowding-out can only occur when interest rates rise, does that mean that the fiscal stimulus could not have created any jobs because the unemployment rate is still so high? The Keynesian line was that prior stimulus created millions of jobs when compared to the hypothetical basket case that would have occurred were it not for spending. I'm not trying to be a hobgoblin of foolish consistency, but it seems Keynesians believe stimulus works via the 'back from the brink' hypothetical narrative, but that the same 'more extreme' hypothetical is not allowed for crowding out? Interest rates are currently lower than their 5-year average, but know one really knows what they should be, or what is considered 'low'. When they were rising from 1955 to 1980 they seemed 'too high' the whole way up, and most economists were wrong the whole way (see graph below). 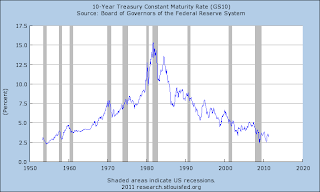 As rates fell, they then seemed too low the whole way down, and I remember in 1988 and in 1994 listening to most smart macroeconomists think that rates would revert to their 5 year moving average. People think the past 5 or 10 year average is the right level, intuitively. Thus, it's easy to say today's current rates are 'low', but are they really as low as they would have been without the massive US deficit and QE2 policies? I doubt it, and these policies are simply non sustainable. The problem, is the graph below (click to enlarge). Greece enjoyed virtually limitless borrowing at riskless rates until 2008 when problems appeared. The line is the Greek sovereign credit spread since 2005, and the white spike on the right is the straight line up to the current level of 25%, which basically means they can't borrow from the market any more, just governments and their central banks. The biggest mistakes are the ones everyone makes, because it's easy to dismiss criticisms because there are many smart people doing what you are doing. Smart, however, just means you can articulate your beliefs well, not that they are correct. In this case, the US government, the states, the counties, and the major cities, have all been spending more than they take in for years. Once the Fed stops printing money to buy our debt (end of this month! ), and the Chinese realize they have better ways to invest, the march towards sovereign bankruptcy seems inevitable. As asset markets have stagnated revealing overoptimistic pension fund assumptions, the problem becomes a positive feedback loop. Blinder wants to spend out of this mess, as the fiscal multiplier implies that government spending money on anything not only creates jobs but decreases the present value of debt, an idea that's so stupid only a professional economist could entertain it. 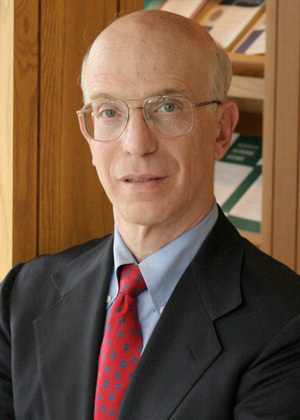 It goes without saying that economists--especially macroeconomists--have a poor track record on big historical trends (eg, most economists in the 1950s believed that socialism was more productive yet less polluting than capitalism, that a permanent trade-off between inflation and unemployment existed, that the third world would grow dramatically after colonialism, that dynamic programming would be useful for fiscal policy, or more recently, that requiring 20% down payment to get a home mortgage was merely a pretext for racism and should be abolished, to name but a few). Too many believe in the naive Marxist fantasy about a life of dilettantish activities unrelated to economic scarcity. How many times are programs justified by the fact that 'The US is the richest country in the world' or some corporation has billion of dollars, as if that capital was sitting there, unused and probably stolen. Bankruptcy will make us a better society because currently many people think that solutions are as simple as creating a mountain of debt (Bill Gross estimates it at 500% our GDP) to create make-work or new economic rights, and those sinecures don't create what Arthur Brooks calls perceived earned success, the satisfaction that comes from work that is appreciated both by your boss, who compares your cost to alternatives, and your customers, who compare your value to alternatives. There are no shortcuts to the rewards of the virtuous life, as a person or a society. Keep in mind, Greece is not being bailed out. Greece's bondholders are being bailed out. Greece would rather default. Cleared of its debts, it would likely be able to borrow again soon. Third, the European Central Bank (ECB) is now involved as well. It started buying secondary-market Greek debt last May. The ECB has now lent in excess of 80 billion euros to Greek banks, replacing private funding that has run away, and typically receiving Greek government debt as collateral. Under Basel II in December 2009, Greek government bonds, rated A-/A2, had the same 20 percent risk weight as AA/AAA asset-backed securities in the United States. It seemed like easy money, and banks levered it up. As usual, regulations did not alleviate the problem, rather, they encouraged it. LNKD has a PE of about 1000, which is making a lot of people very excited (Facebook, , but such valuations seem high to most people, so there are more people eager to short than shares available, causing the 'borrow rate' to rise to about 10% annually (ie, you pay 10% on the revenue generated from a short sale). This perverse borrow rate shows up in the options market. The Feb 2012 $75 strike put trades around $19.80, and the $75 strike call at $14.00. You can put on a Feb forward position in LNKD via options, by buying a call option, and selling the put. It currently trades at $74.77. Now, if you are a long term investor, why pay $74.77 for the current LNKD, when you can by the Feb forward for $69.19? It's an easy $5. Regular investors don't reap the borrow rate on their long stocks, that's all kept by the broker. So it appears that anyone owning this stock in such accounts appears to be leaving money on the table. Is this a market inefficiency? It depends on semantics to a large degree. Arbitrage does not exist, which for many is all that matters. But market prices are clearly biased, as whenever there are options available on stocks that are hard to borrow you have a large number of investors behaving suboptimally (there are about a dozen of these situations currently in the US). I was able to go to [college in the 1930s] because . . . The state of New Jersey at that time offered scholarships on a competitive basis. Had a series of exams, and the people who succeeded in those exams and who could demonstrate financial need received free tuition at Rutgers . . . The tragedy is that the state of New Jersey in their new incarnation now has a similar program, but the qualification for getting a scholarship is below average academic quality . . . It typifies what's happened in our society. Instead of emphasizing strengthening the opportunities open to the able, we have tended increasingly to shift into a state of victims in which the emphasis is on raising the people at the bottom. Now, no social progress has ever come from the bottom up. It's always come from the top small number pulling up the society as a whole and raising it. This from EducationNews, which has a nice timeline of the mortgage crisis, how it started with such good intentions, and many little milestones. Reversing the rewards structure to help those at the bottom hurts incentives, and doesn't help those at the bottom any more than my kid's 'participation trophies' help them gain self-esteem. It just encourages ever more intrusive policy on the theory that it merely wasn't sufficient. I'm a big fan of stoicism in part because it seemed to make good men, such as Marcus Aurelius and Seneca. It basically says to work on things consistent with one's abilities and opportunities, not worrying about things we can't change, and develop satisfaction in doing your best. Thus, it embodies the idea that virtue is its own reward, but ties virtues to reality, where one works on things that matter and have objectively positive effects, at least statistically. Yet, there is a bit too much emphasis on accepting the status quo in this view, of restraining one's desires. I think there is something to having big dreams and wanting to win competitions that seems not only natural, but satisfying as a goal to guide my actions. Indeed, just last week I read Epictetus's Enchiridion, and was a bit bummed by the lack of gumption. 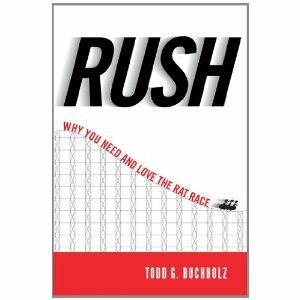 So I found it quite interesting to hear about Todd Buchholz new book Rush, which extols striving, saying that the rat race is not so bad. Society, and individuals, like working in competitive environments. This is a nice counterbalance to the stoic/buddist/new age(?) idea that we should just restrain our ambitions. The old saw that we need moderation in all things is just as applicable towards ambition, in that we don't need zero, but some positive amount, and this is a nice corrective. I've been lucky enough at various times to be associated with the White House and Harvard and all sorts of august institutions, and I always thought: I'm going to find Mozart at one of these places. It turns out, in my career, I've never found a Mozart. The Mozart of economics or of politics or of writing theatrical works. What I find is we've got a lot of Salieris out there trying to pluck out a reasonable tune. And that's probably good enough. So true. The smartest people or ideas, once you really understand them, are just bright people working hard on problems they find interesting, and getting a little lucky. Magicians only exist in different times and places because we don't really know them and it's a nice fantasy. While Bill Gross believes the US is facing an economic default of some kind, because its $75T in explicit and implicit guarantees simply cannot be paid, the bond markets appear to pay him no mind. US interest rates are low so investors clearly don't seem to be worried. But then again, insolvency is only weakly correlated with bankruptcy, because as long as people think you are solvent, your actual balance sheet does not seem to matter. Consider that General Motors (GM) was insolvent for years, especially looking at their off-balance sheet obligation, but only went bankrupt in 2008 when the financial crisis cut off the essential cash inflows needed. Another good case is what happened to Charles Ponzi. On July 26 1920, the Boston Post started a series of articles that asked hard questions about the operation of Ponzi’s money machine. The Post contacted Clarence Barron, the financial analyst who published the Barron’s financial paper, to examine Ponzi’s scheme. Barron noted that to cover the investments 160 million postal reply coupons would have to be in circulation. However, only about 27,000 actually were. The United States Post Office stated that postal reply coupons were not being bought in quantity at home or abroad. Ponzi's scheme was logically impossible, irrespective of any actual happenings. How Many Good Ideas Does One Get? I saw this speech by former Fed President Jerry Jordan and note he highlights the lack of accounting knowledge by economists as a big problem. I remember when he first made this point at a meeting circa 1988 when I was a worker bee in his economics department at a Los Angeles bank. He was excited that it seemed to make an impression on people he respected, and I could see he felt like he had identified something really cool: an insight new, true, and important. Good speakers are good precisely because they practice a lot by giving the same speech in different venues, each to a different audience. Jay Leno, who I saw several times in the 1980's when he was on the comedy circuit, said in an interview that the difference between the tonight show and the comedy circuit was that in one you gave the same routine every night in different places, but on the Tonight Show you gave a different routine every night in the same place. That he practiced his delivery on a similar routine for a decade helped his timing. Still, 25 years is a long time to be making the same modest point. It's a good point, but not earth shaking, sort of like the idea that the 95% Value-at-Risk dominates the 99% Value-at-Risk because it's actually feasible to validate, or that in banking its all about spread, credit quality, and volume, and you can't maximize all three (sort of like universal access, quality, and cost in health care), or never give a Sunday lecture at a four-day conference. I'm hoping my idea bag has more stuff so I'm not making these points in 25 years, but then again, he was a quasi-governmental leader so I'm sure he's used to repeating himself in front of big audiences. I do find it is a useful rule of thumb to evaluate someone's intellect by how frequently they repeat themselves. If you remember them telling you the same three minute story that has some funny/surprising/shocking ending (it's their best story), you can be pretty sure their idea bag is empty. Before you invest a penny, listen to Bob Haugen. He’s a former finance professor who’s spent half a lifetime studying the stock market. He’s written a number of books and papers, and is the co-author of remarkable piece of analysis entitled “Case Closed” and available here. Read the analysis . He looked in excruciating detail at the characteristics of which stocks did best (and worst) over nearly half a century, from 1963 to 2007. Most of these “styles” are a waste of time. And the idea that you need to take on more “risk” to earn higher returns is a total con. On the contrary, he says, the stock market has a big secret. In contrast, I think one should junk the standard argument of the utility, wealth, and replace it with status. Then everything is consistent, and you can explain why happiness does not increase when societies get wealthier (the Easterlin paradox). Risk premiums are to economics what the luminiferous aether was to pre-relativistic physics: omnipresent but unmeasurable. 61 percent of people who floss regularly prefer credit cards to debit cards, compared with 45 percent of people in general. Pablo Fernandez has made it his job to survey finance professionals to see what they all think the 'equity risk premium' should be. This is the expected annualized return one expects on equities over the 'risk free' rate, and is used for various cost-of-funding assumptions. In his recent survey most put it currently about 5.5%, 3% below the number from textbooks around 1990. But here's something funny. Someone told me they responded to his annual survey with 0%, as I argued in my book, noting that with geometric averaging, survivorship bias to the US experience, taxes, transaction costs, and adverse timing, your average investor is at the discount rate Warren Buffet uses: Long Term Treasuries. This observation was not included in his survey because it was too extreme! Now, I can see removing observations that appear mistakes, but 0% isn't crazy, just low. Ivo Welch is a pretty conventional finance professor, has new finance textbook (available free online here), and he argues that it is between 2 and 4%. Eugene Fama and Ken French argue it's around 3.5%. Dimson, Marsh and Staunton, 3.5%. These professors, meanwhile, are ahead of the professionals who naturally remember what they learned in business school, which for your average respondent was around 1990. So, I'm below the current estimate of orthodox and highly esteemed economists by about 3.5%, which is less than these guys are below the conventional wisdom circa 1990. Just looking at how this datum has moved, suggests my estimate is plausible. Forecast errors are not like lightening strikes in that they are more likely if they happened previously, not less, meaning, if the conventional wisdom has changed from 8.5% to 3.5%, it can go to zero. For example, smelly processes command a higher reward, because people will not undertake them otherwise. So do risky processes. As usual he didn't actually look at the data and instead just threw out a plausible assertion, because toilet cleaners do not earn more than other custodians, and the untouchables of India who monopolize sewage work are not compensated well at all. Further, we don't earn extra for the following: IPOs, penny stocks, options, long duration bonds, junk bonds, long-short sports bets, lottery tickets, volatility within the stock market, currencies, and commodities, just to name a few, so why should stocks be different? Don't expect to make more money for taking risk, just know you have to take risk to make more money. If you don't understand the difference, you shouldn't be taking risk. Dierdre McCloskey Bourgeois Virtues is a nice defense of capitalism. 50 or 100 years ago, 'burgeois' was an epithet, implying someone is shallow, base, selfish. As many (most?) political differences come from whether one thinks that the market or government rewards virtue more, it's good to understand whether there is any evidence to this question. A good businessman is, ironically to many, a good person: friendly, agreeable, disciplined, honest, etc. Not always to be sure--I know many petty, paranoid hedge fund people--but the things we like most about our friends and neighbors are generally attributes that make one a better salesman or manager. To me, the market is superior not because it's perfect, but because competition within a framework of repeated interactions motivates people to be better men and women; government officials can persist with perverse policies and simply never have to learn, always blaming their bad results on insufficient resources. Have a very healthy respect for the study of economic history, because that’s the raw material out of which any of your conjectures or testings will come. And I think the recent period has illustrated that. The data are much richer than the seemingly precise post WW2 National Income and Product Accounts data; for example, a history of the 19th century highlights that financial crises and business cycles are intrinsically linked, and that growth does not need large amounts of government spending. Anyway, she now writes a lot about the morality of markets, and makes a strong case for why burgeois values have historically been much maligned, but are in fact a key to modern, prosperous, liberal, societies. Ernest Hemingway is supposed to have pointed out to Scott Fitzgerald that the rich were not really different except in having more money. McCloskey makes a similar observation about those with less: “The poor are not better than you and me. They’re just poorer.” I would go further, noting the poor are more impulsive, not as educated or intelligent, and this is why on average they are relatively poor. But, you can't be taken seriously by legitimate audiences if you say that, instead, you have to tell people it's something else: insufficient or incompetent government, bigotry, class oppression, etc. McCloskey takes a baby step, by saying poverty is not the fault of the rich. McCloskey argues for seven traditional virtues—courage, justice, temperance, prudence, faith, hope, and love. I think justice, temperance, faith, and hope, are all really parts of prudence, because these values are seen as virtuous precisely because they are salutary--they are efficient means to our ultimate end of a happy and fulfilling life, thus all merely prudent. Anyway, such virtues always exist in moderation, none sufficient, all necessary. It's essential to recognize that many of the most evil people who have every existed have some virtues, but because they were unbalanced, created nightmares. One could look at the 9/11 suicide squad and acknowledge their courage--something that Bill Mahrer was scolded for saying. Indeed, GW Bush felt obligated to call the Al Quaida killers 'cowardly', as if implying that a bad person must be bad in every way, which is simply untrue. As McCloskey says, hope is a virtue, certainly, but “when unbalanced by the other virtues, it produces evil, such as revolutionary socialism or revolutionary fascism.” Hitler had hope and possessed “personal courage beyond doubt,” but, McCloskey notes, he lacked “temperance and justice and prudence,” which is sufficient for him to be rightly considered the most repugnant person in human history. I would think it not possible to do great harm without having some virtues that make one's programs attractive to the many willing executioners needed, because people don't do evil thinking it's evil, but rather, the think they are accelerating the emergence of the good. When the barista says 'thank you' for buying coffee, and I say 'thank you' back, we have a double thank you moment, symptomatic of positive gains from trade. In contrast, I don't say 'thank you' when I pay my taxes, and the government doesn't say 'thanks' to me either. When you have a hangover, one cure is to drink more, though this is clearly a short-term solution. Since the housing market began to falter in 2007, Washington has tried to help via foreclosure mitigation, increased guarantees from the FHA, higher guarantee thresholds from Fannie Mae and Freddie Mac, Fed purchase of mortgage assets, and the $8,000 home buyer's tax credit. Yet housing, and the economy, remain in a slump. The people in unsustainable consumption and production, and everything around them, are not investing because they know there's no future for them. The NYT highlights people concerned about some new proposed mortgage regulations that would seem a no-brainer given what just happened. the first point of attack is on a proposal that would require sellers of mortgage-backed securities to retain part of the risk should a package of loans go sour. The sellers would have to keep on their books at least 5 percent of the value of any baskets of loans they purchase from lenders and then resell to investors. One of the few exceptions to the requirement would be for mortgages on which the home buyer has made a down payment equal to 20 percent of the purchase price. Someone who can't come up with 20 percent should not a home, they should rent. Homes require big cashflow investments for random problems such as broken water heaters, air conditioners, flooding. If you don't have $10k lying around, your house is uninhabitable after such contingencies. Then there's standard maintenance. As the Zimbabwean squatters found out with farming, you need to invest and cultivate a farm for it to be productive, it doesn't just produce. So too with housing, as homes need constant investment just to keep them from falling apart: landscaping, fixing wiring in the house, new carpets, etc. Putting poor people into homes they can't afford leaves no one with both an incentive and ability to maintain it, and so such neighborhoods decay. Many inner cities have once beautiful homes that are now worthless, and though it doesn't happen overnight, the waste is rather pathetic. Better for everyone--neighbors, themselves--if they rent. After all, housing is not, primarily, an investment, but rather consumption item falling under 'shelter'. On one hand, this problem is solving itself as no one will buy paper with less than 20% down mortgages, on the other hand, there's an exception: government guaranteed mortgages with only 3.5% down. The government guarantees 90% of mortgages today, which only prolongs the inevitable, and is a major reason why we aren't out of our slump, because people are not being reallocated to their sustainable patterns of trade and consumption. This mispricing of risk is born by taxpayers and so, like Fannie and Freddie and the whole mortgage bubble, is an easy way for do-gooders to superficially address the problem. It may not have been obviously stupid in 2006, but it is now. We take for granted many intuitions, but it's important to remember what intuitions are truly universal, and which are the function of explicit training. For example, speech is hard-wired into our brains, and children exposed to people talking will naturally learn to talk. In contrast, kids won't learn to write or read without years of instruction. Empathy and appreciating motive are innate (mirror neurons), but understanding that evil is usually the result of ignorance, is not. Thus, I found it interesting while reading Stigler's History of Statistics, in the section on Euler and Mayer. 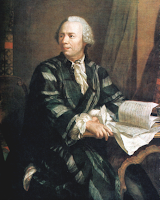 Euler is probably one of the smartest men to have ever lived, and Wikipedia has a list of many important equations, numbers, and theories named after him. Around 1745 he tried to explain why it appeared that the motion of Jupiter was accelrerating while Saturn was retarding. This was problematic because it seemed to imply Saturn would fly off into the galaxy and Jupiter would crash into the Sun. His solution involved looking at 75 observations of data for 8 parameters in his formula. 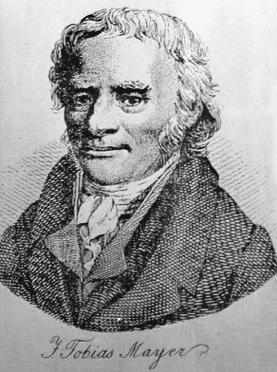 He basically tried to solve for them exactly, as if the data were all measured perfectly, using substitutions when various parameters would cancel out, but was only able to then pare the set of equations down to six inconsistent linear equations and two unknowns. He found other such solutions with more equations than unknowns, and admitted defeat. Euler looked at the problem like a mathematician, and instead intuited that any errors would only compound via aggregation. This makes sense because often mathematicians think that if the error is +/- 2 units, having 4 observations would cause the sum to error by +/- 8 units. Worse! I think these are really neat because while it's trivial to think that rubes don't understand the odds of winning the lottery or that the odds of a 'head' after 5 'heads' is still 0.5, that's something you can attribute to stupidity. Yet even geniuses don't 'get' certain things that seem like pure logic, but really require a non-intuitive way of looking at things. It's like the story of Paulos Erdos not understanding the Monte Hall problem.